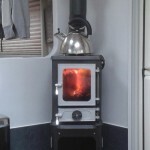 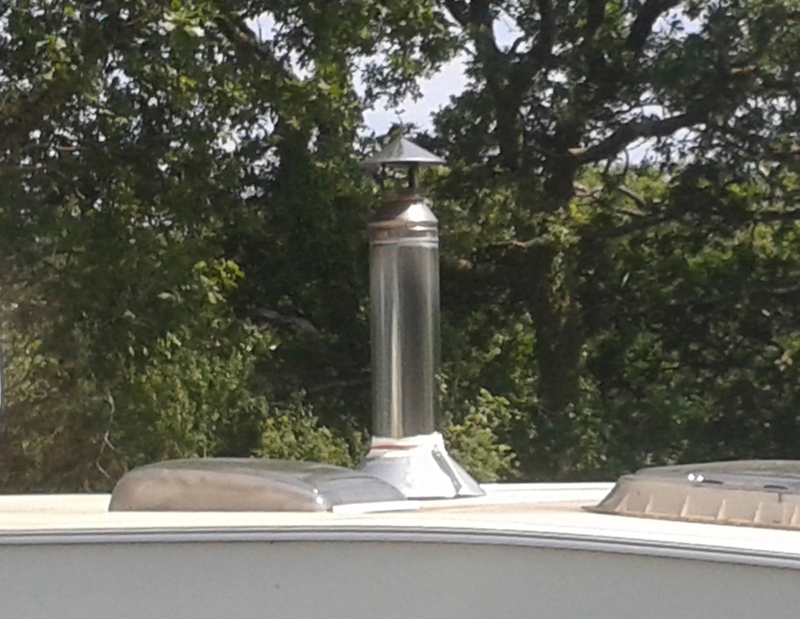 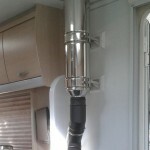 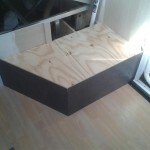 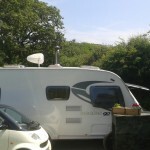 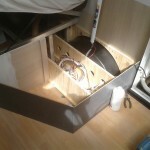 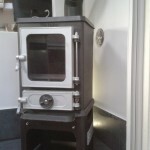 Installing a small Hobbit stove in a mobile home or caravan can provide the space with a real focus. 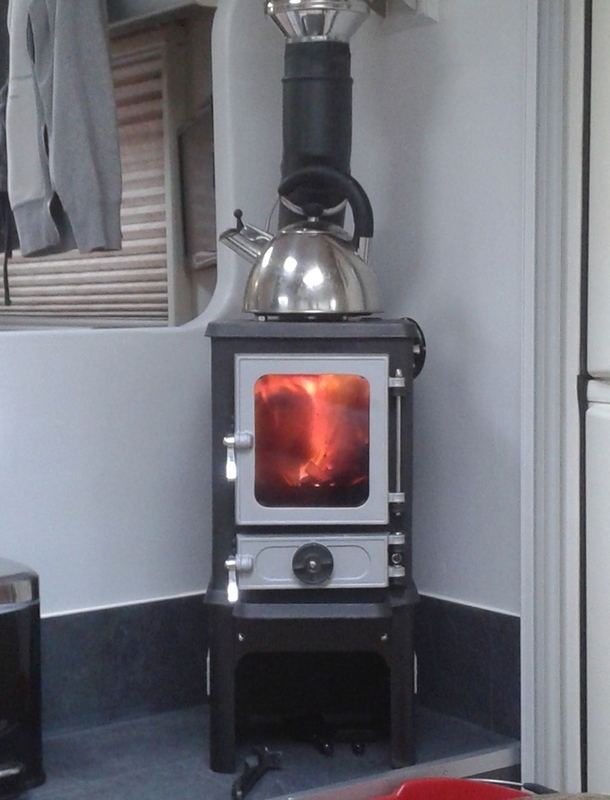 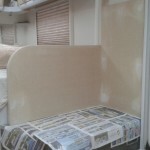 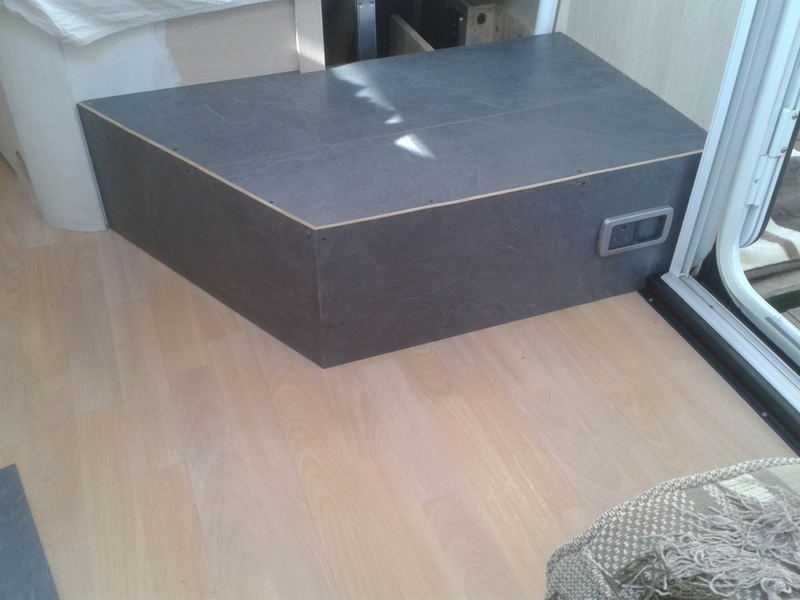 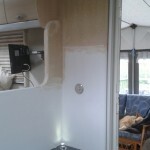 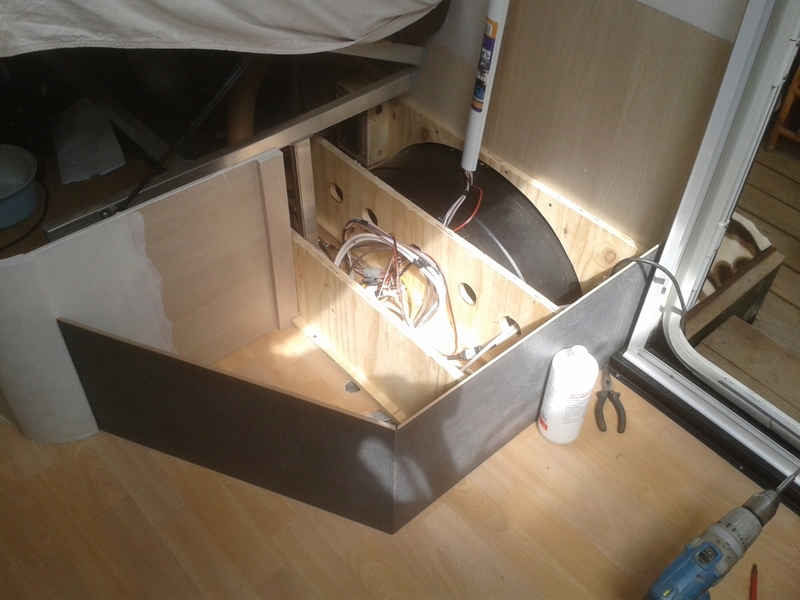 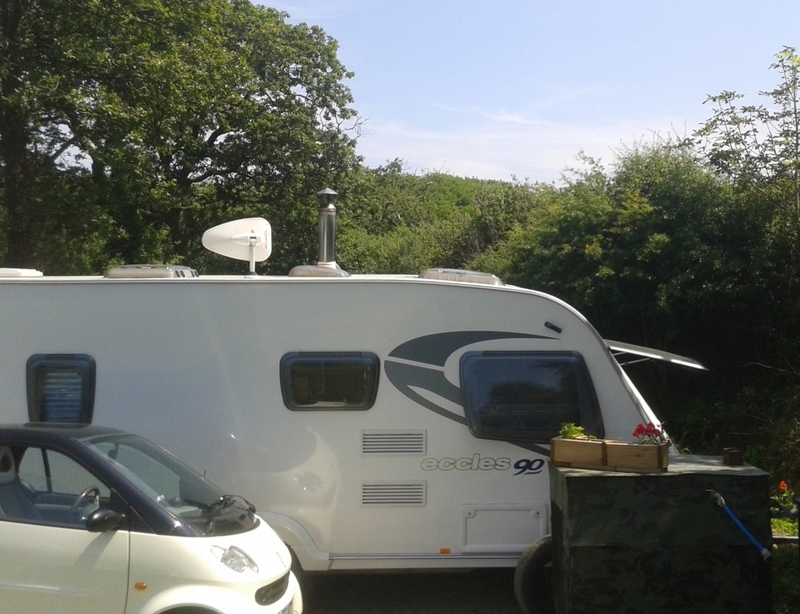 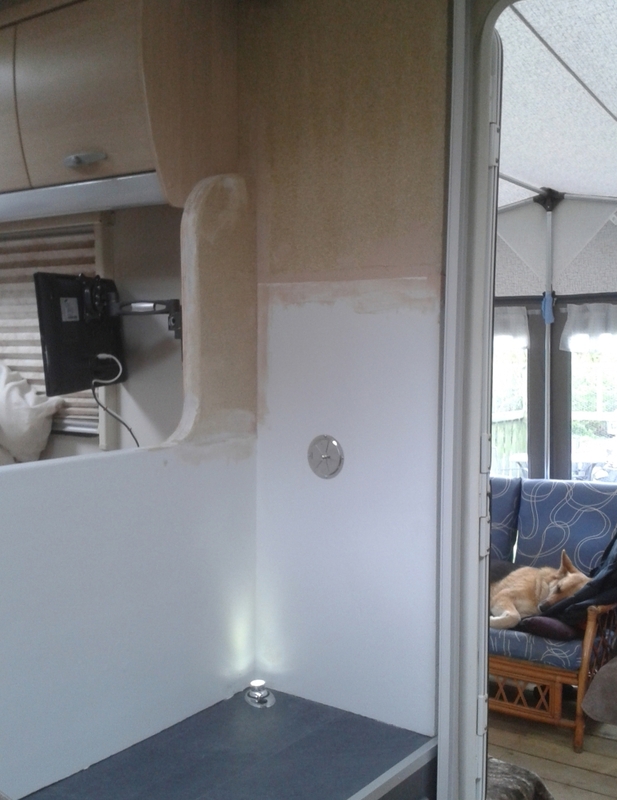 This case study shows how in a modern touring van the addition of a Hobbit stove has matched with and enhanced the modern interior. 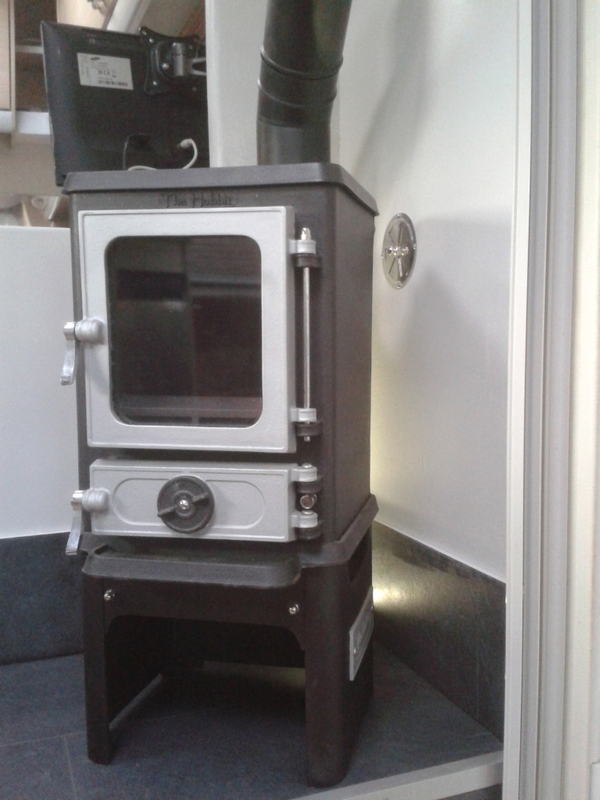 Keep warm and cook your tea on a Hobbit. 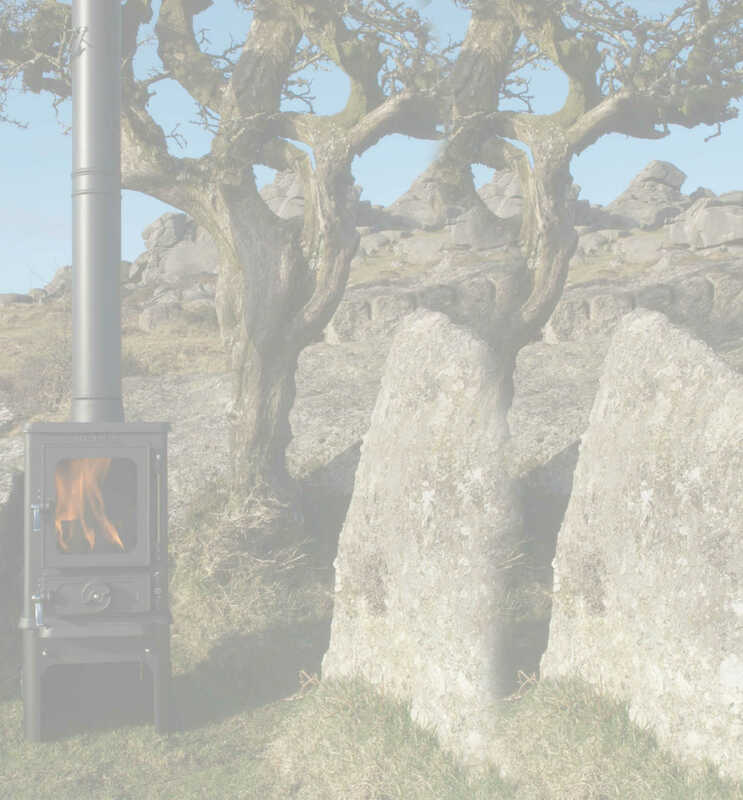 A great off-grid solution. 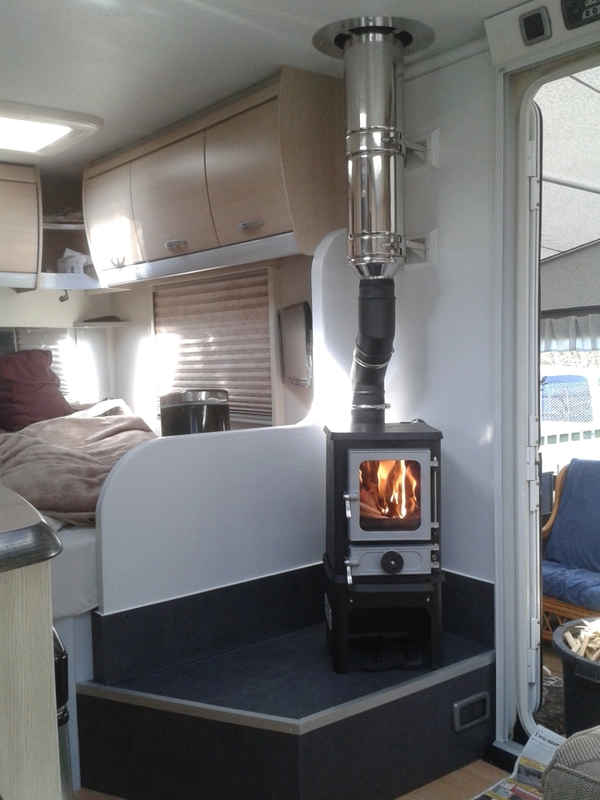 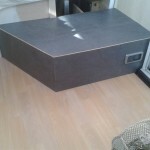 This gallery shows how in this case, the tiny stove was incorporated into the space with clever use of the available area above the wheel arch. 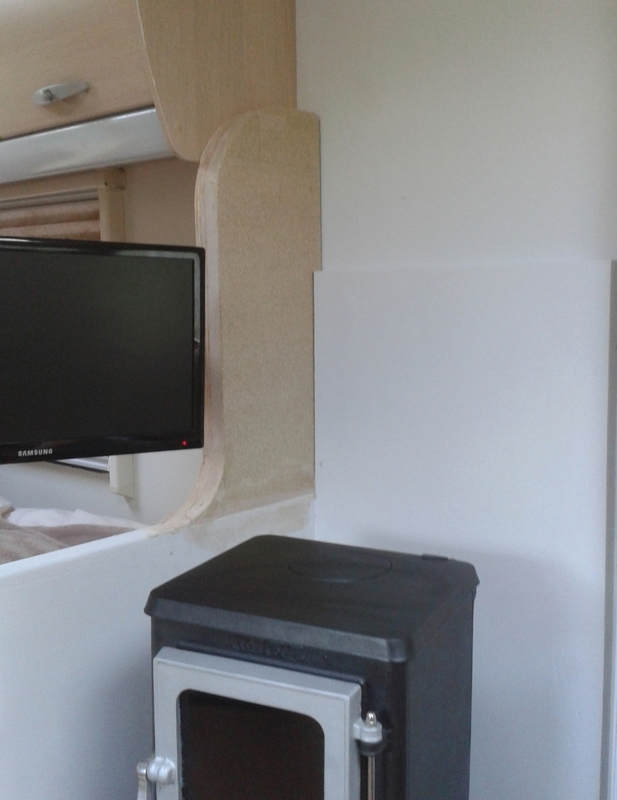 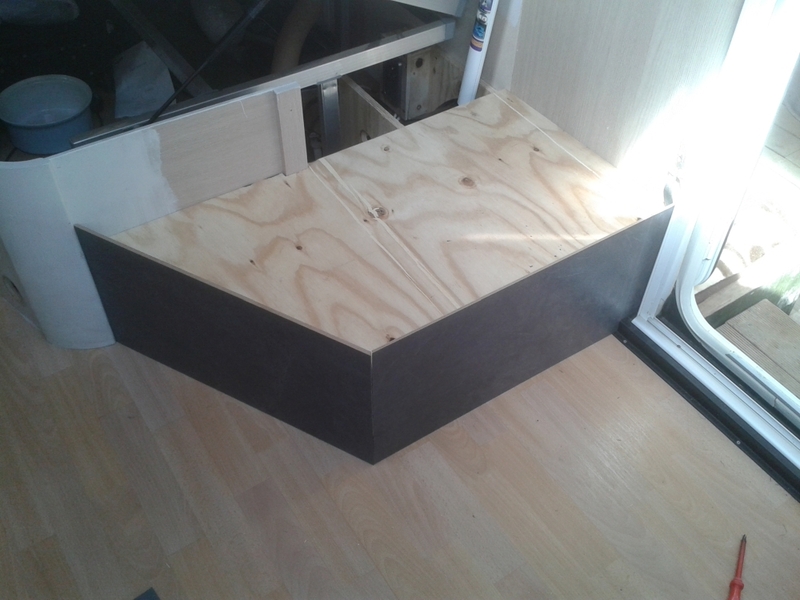 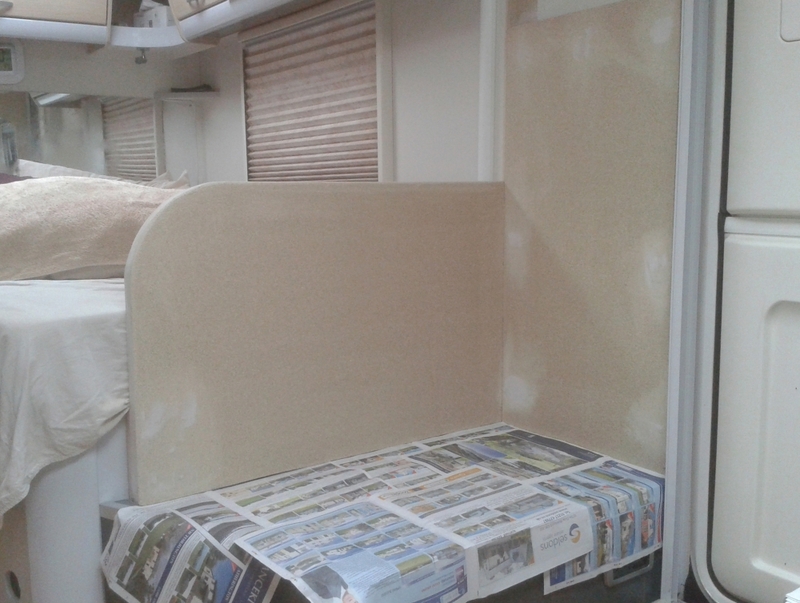 The area around the stove has been shielded with a vermiculite board to protect the combustible surfaces. 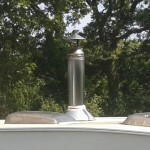 The flue system is a combination of single skin and twin wall flue. 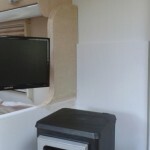 The roof flashing is a high temperature silicone rubber – dektite 206. 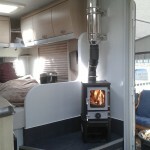 A modern touring van is now an amazing small space that feels like a proper tiny home, such is the allure of a living flame. 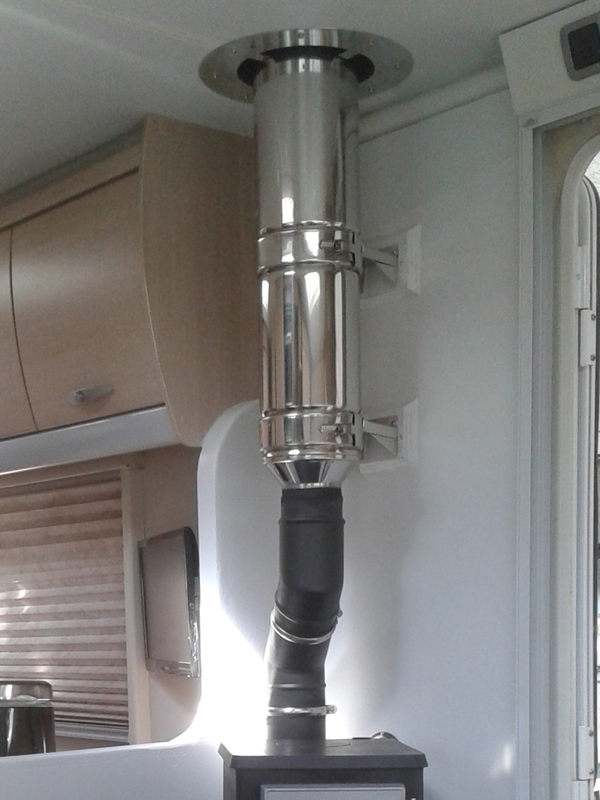 This optional feature has an air feed directly linked to the outside and feeds air to both the primary and secondary inlets to maintain maximum airflow control.